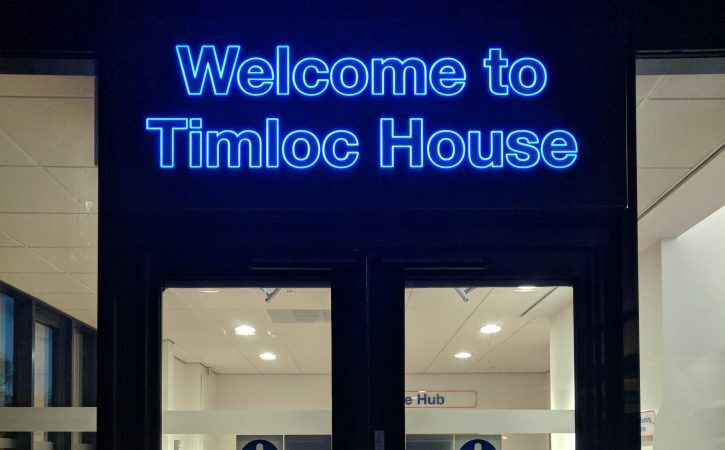 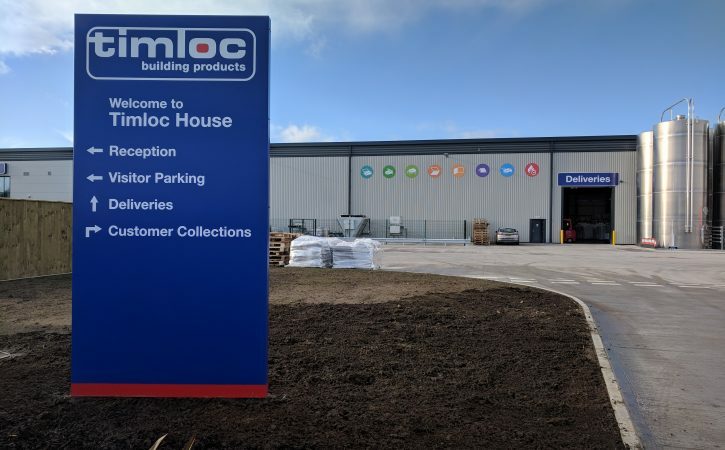 Timloc Building Products in Howden recently moved their headquarters to new premises and required signage to match their fantastic new home. 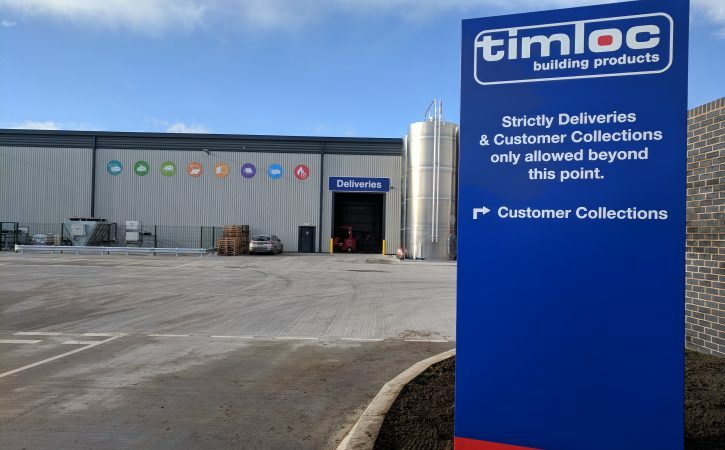 Harrisons Signs manufactured and installed two steel boxed totem signs, both fabricated with aluminium panels. 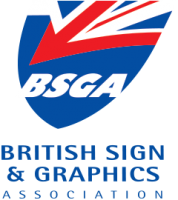 Vinyl graphics were applied to direct customers to the right area. 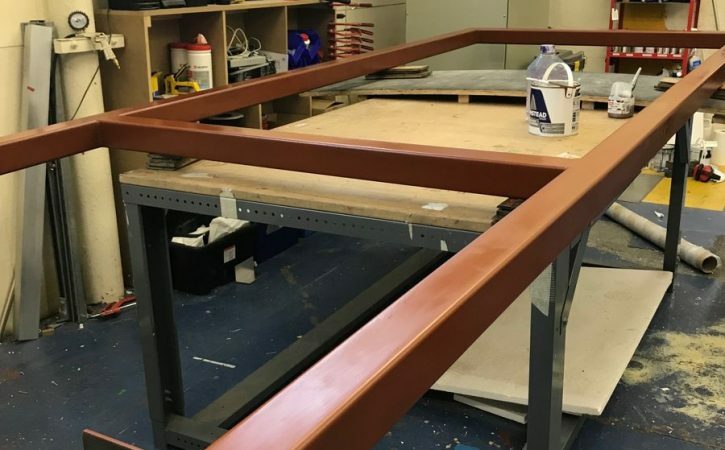 They were secured into the ground with extended steel legs and postfix bases. 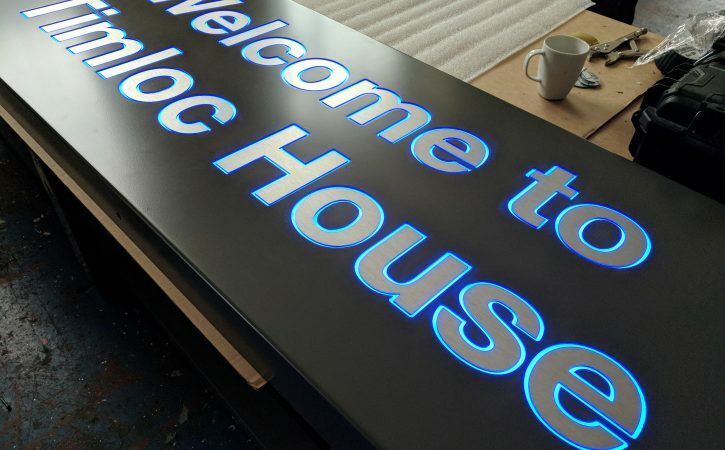 The reception sign is created from an aluminium tray with steel cut lettering, internally lit with blue LEDs.